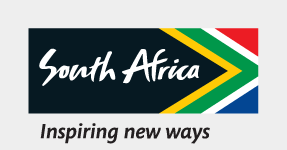 Begin your tour in Cape Town where you will enjoy a city tour, plus sightseeing independently. Perhaps ascend to the top of Table Mountain by aerial cable car to see the astonishing panoramic views of the city. While in Cape Town, you will also have the opportunity to join two optional tours – one through the Winelands and one to the stunning Cape Peninsula. Afterwards, visit the penguin colonies at Boulders Beach and walk through the spectacular Kirstenbosch Botanical Gardens. Next, fly to Johannesburg and drive to Limpopo Province. Enjoy a game drive in this wildlife wonderland and uncover a variety of predators such as lion, leopard and cheetah with herds of elephant and buffalo that can often be seen at close range. Experience early morning and afternoon game drives, in open safari vehicles, that provide the opportunity to see a combination of many different animal, bird, insect, reptilian and vegetation species. Explore Cosmopolitan Cape Town and the spectacular peninsula before heading off to experience the wonders of a South African Safari on this fantastic 8 Day trip. This safari offers the opportunity to have close encounters with a wide variety of big game, including the Big 5, cheetahs, and wild dogs. This magnificently diverse itinerary includes four nights in Cape Town with an orientation tour of the Mother City and full day exploring the scenic Cape Peninsula. Continue on to your wildlife adventure in Kruger, where you spend three nights and enjoy six thrilling safari drives, plus a visit to the Center for Endangered Species where you will meet orphaned animals who are being protected and rehabilitated. Come join us on the Cape Town & The Magical Mystery Safari! Three nights is cosmopolitan Cape Town, followed by three nights of wildlife at Entabeni, featuring grassy plains, sandy wetlands and majestic craggy rock formations. Welcome to Cape Town, one of the most gloriously gorgeous cities in the world. Boasting a unique combination of spectacular scenery, vibrant cultures, period architecture and fabulous food and wines ….it is no wonder that Cape Town is considered the most enchanting city in the world! Entabeni, invites a wide range of animals to the area and here you will find plentiful wildlife – including the Big Five. In addition to exciting game drives you can enjoy walking safaris, village visits, a sunset lake cruise, spectacular star gazing in the observatory. An exciting safari to South Africa starting in Johannesburg, before jetting off on safari to your private game reserve adjacent to Kruger National Park. Is being on safari what heaven is like? The day starts as you sip a hot drink in the crisp pre-dawn breezes, greet zebras backlit by the rising sun. By day, a thrilling game drive ensues in the heart of the bush with skilled rangers and a master tracker. As evening arrives, the sounds of the bush and a crackling campfire fill the air as guests dine by candlelight, served with silver and crystal. Finally, ending with the coastal city of Cape Town— where the Atlantic and Indian oceans meet —walk along one of South Africa’s picture-perfect stretches of sand. Explore scenic fishing villages and the coastal wine trails. Sail beside a whale, cage-dive with Sail beside a whale, cage-dive with great white sharks, and be charmed by African penguins and massive colonies of Cape seals. Explore South Africa on this signature affordable luxury safari. Spend 4-nights in Cape Town with its scenic beauty, culture and world class restaurants and 3-nights in the Pilanesberg Game Reserve with its spectacular landscape and wealth of wildlife. The Pilanesberg Mountains offer guests sightings of a wide diversity of wildlife including lions, elephants, white and black rhinos, buffaloes, leopards, zebras, hyenas, giraffes, hippos and crocodiles from open safari vehicles. An overnight stay in Johannesburg before flying to Victoria Falls for a 2-night stay with a guided walking tour of Victoria Falls, one of seven natural wonders of the world, and a tranquil sunset cruise on the Zambezi River. Enjoy a fun-filled dinner at The Boma Restaurant, offering a unique African experience that bombards the senses with the tastes, sights, sounds and smells of Africa - coupled with the warmth and hospitality of the local people. Experience the culture of Johannesburg by bicycle, followed by two nights on safari at Black Rhino Game Lodge in the "Malaria Free" Pilanesberg National Park. Experience the best of South Africa with private touring and intimate boutique hotels. Explore the bustling city of Cape Town, it’s stunning landscapes, fascinating history and culture, and delicious cuisine. Then you’ll head to Jabulani Safari, near Kruger National Park and home to an incredible herd of orphaned elephants. Your experience at Jabulani will be totally customized: from elephant interactions to game drives, Jabulani has many activities to offer. Explore the highlights of South Africa in style with this luxury honeymoon package! Stay at a beautiful hotel in Cape Town and enjoy a private tour of the Cape Peninsula. Then, head to Madikwe Game Reserve for a thrilling safari adventure! Hike up to the summit of Table Mountain for sweeping views over the city and ocean. Learn about Cape Town’s chequered history on a private guided walking tour. Indulge in wine tasting at some of the award-winning estates in the Winelands region and go on a walking tour of the historical town of Stellenbosch. Take relaxing strolls along Plettenberg Bay’s golden sands and enjoy whale and dolphin spotting. Spot the Big Five and other wildlife species on safari in Addo Elephant National Park. If South Africa is one of the many destinations on your bucket list, our South Africa Highlights & Safari Tour is a very smart choice. This is our most popular tour includes four full days in the spectacular harbor city of Cape Town where you’ll visit Table Mountain, Cape Peninsula and the famous penguin colony. Next, enjoy game drives at both Hluhluwe Game Reserve and Kruger National Park where we’ll do our best to help you spot lions, leopards, rhinos, elephants and buffalo, aka the “Big 5.” Your journey ends in Johannesburg where you’ll learn about South Africa’s past with visits to Soweto and the Apartheid Museum. If you're looking to explore even more of Africa, scroll down to learn about our extension to Victoria Falls! Discover the highlights of the Cape Peninsula and the Winelands before embarking on a classic safari on this exciting journey through South Africa. Begin your travels in the cosmopolitan city of Cape Town where you'll ascend iconic Table Mountain, visit Robben Island and explore the scenic Cape Peninsula. Sample some of South Africa's most famous exports in the rolling fields and vineyards of the Winelands. Then, search for lion leopard, rhino and more on safari in the private Kapama Game Reserve.